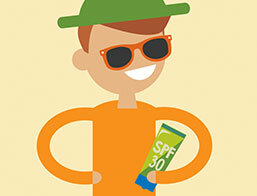 Students will learn about the sun’s negative and positive effects and how to stay sun safe while practicing compare-and-contrast and cause-and-effect skills. Students will apply their knowledge of geometric properties, fraction language, and the sun’s dangers to demonstrate the need for sunscreen. 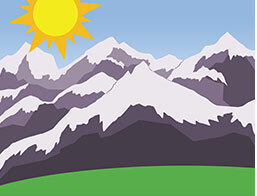 Students will learn about the sun and how the energy it produces impacts Earth and people in all climates. 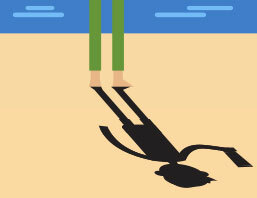 Students will learn how shadow lengths vary at different times of the day and indicate when the sun's rays are most harmful. 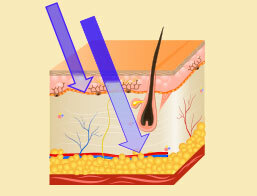 Students will be guided to make 3-D models of the skin to gain a better understanding of the skin's layers. Be Sunbeatable™ With Your Family! 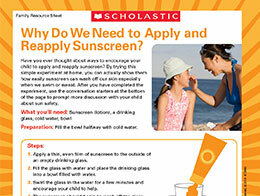 Extend the learning beyond the classroom by sending home these sun safety tips and activity for families. 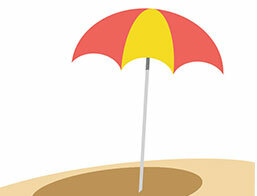 Find out more to keep your family sun safe at mdanderson.org/skin-safety. 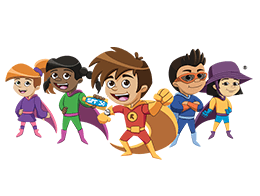 Ray and the Sunbeatables®: A Sun Safety Curriculum features superhero characters who travel around the world using their superpowers of sun protection. This curriculum is targeted to preschoolers, kindergarteners and first-grade students.